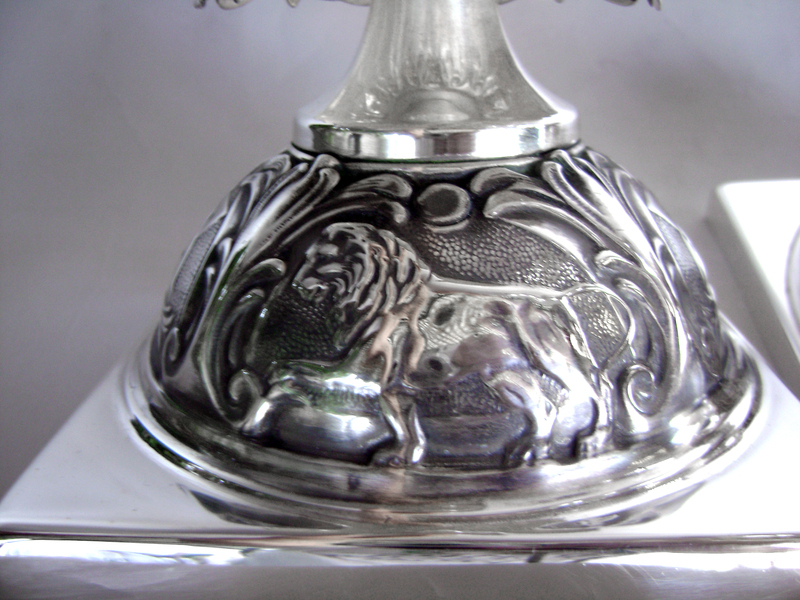 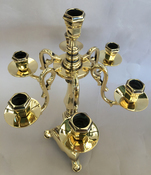 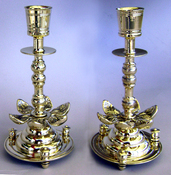 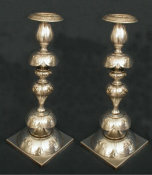 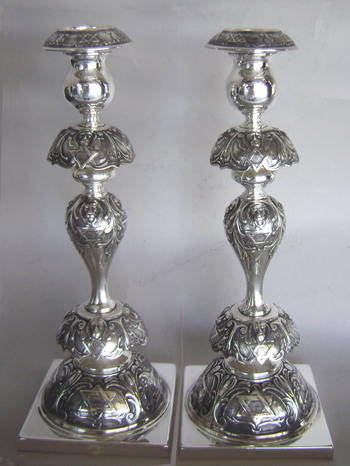 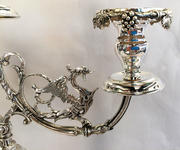 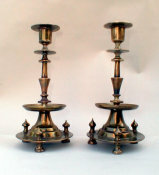 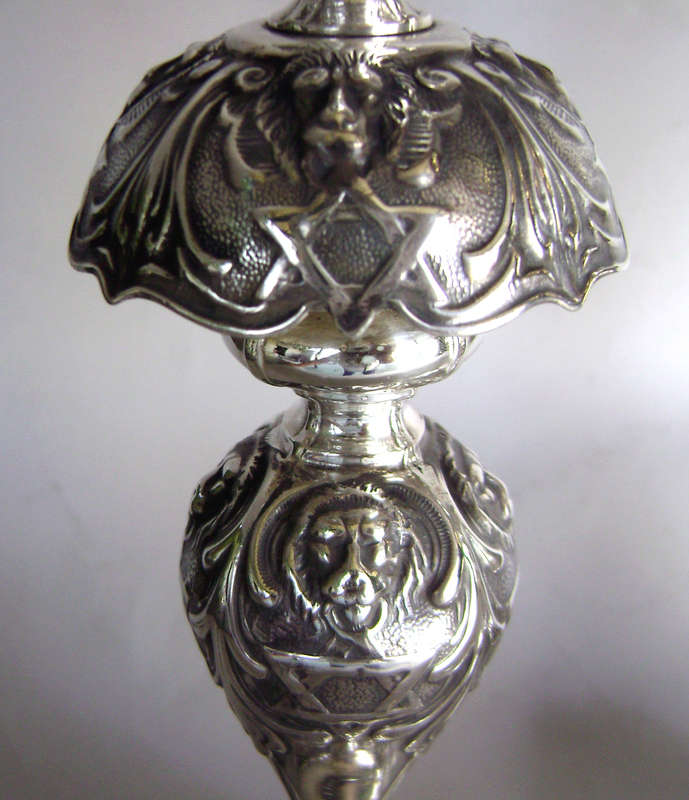 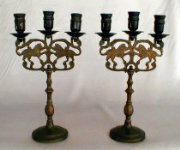 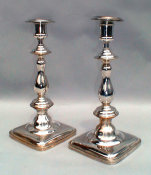 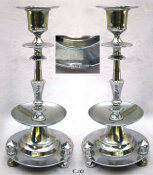 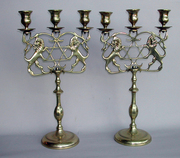 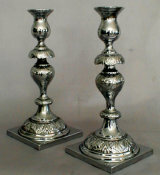 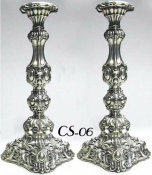 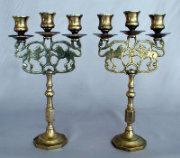 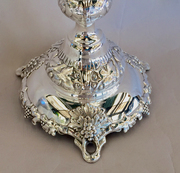 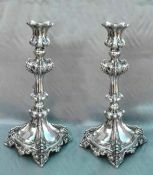 Magnificent and rare B. Henneberg Silvered Shabbos Candlesticks decorated with Lions and Stars of David. 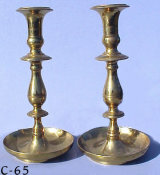 This pair is in perfect condition. 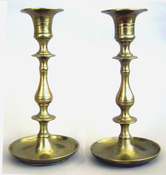 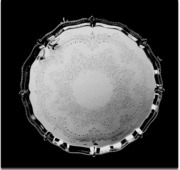 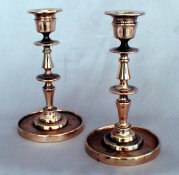 Each candlestick has ample chasing covering the entire surface. 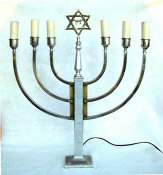 With a bulbous stem chased at intervals with Satrs of David and Lions of Judea set above and below with skirted knopsknops. 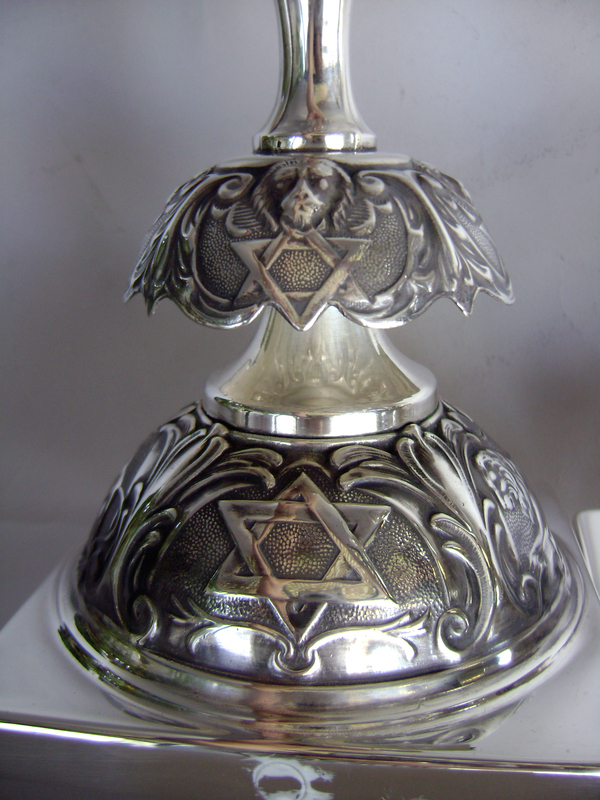 The square base has alternating panels of Stars of David and Lions of Judea. 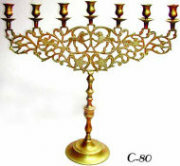 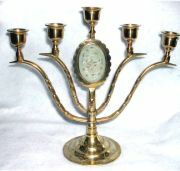 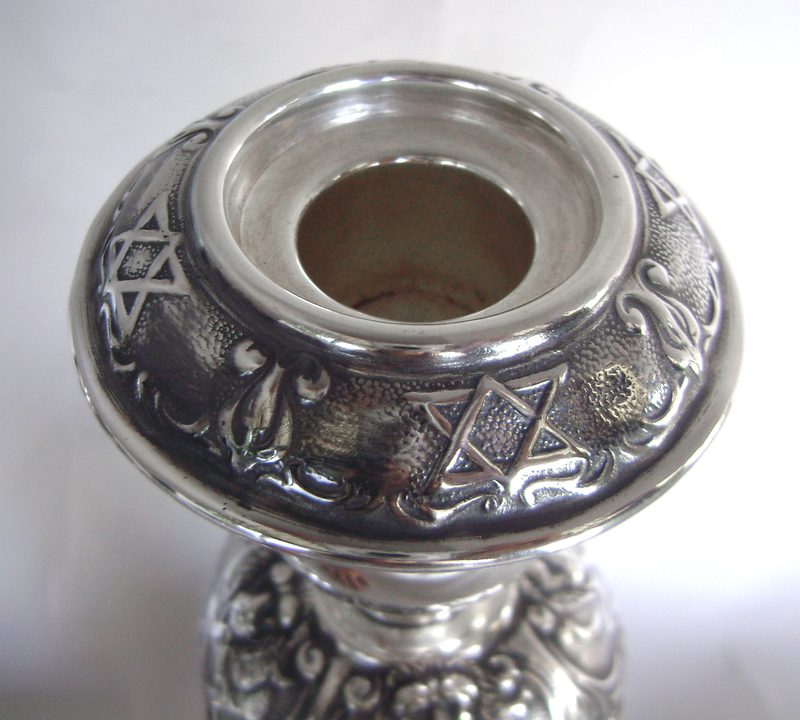 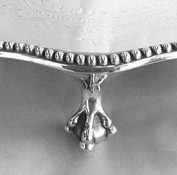 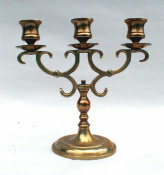 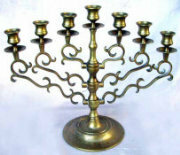 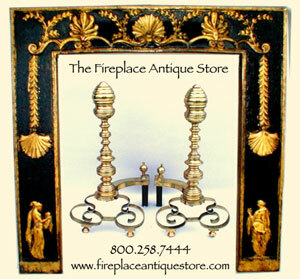 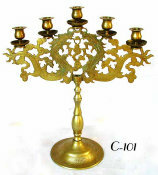 The candleholder of pear form, with detachable bobeche intractely decored with alternating Stars of David and foliated chasing.